When will be Story next episode air date? Is Story renewed or cancelled? Where to countdown Story air dates? Is Story worth watching? Story is a smart, fun and thought-provoking show that leads the way in daily current affairs. Telling the stories that are important to New Zealanders, Story's focus is unashamedly local, but wherever the story comes from, if Kiwis need to know about it - Story will have it.With Duncan Garner and Heather du Plessis-Allan leading the charge, Story is compelling, intelligent, adventurous and entertaining. The show covers the big story of the day, runs its own investigations, deliver stories that are immediately useful and also brings you the inside word on the entertainment news you love.Studio-based, Story features a mixture of stories from the field, interviews and live content. 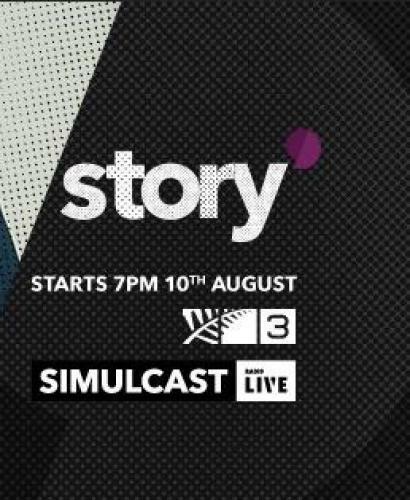 It will also be simulcast on RadioLIVE.The reporters on Story include Tristram Clayton, Lachlan Forsyth, Sarah Stewart, Mike Wesley-Smith, Jendy Harper, Dan Parker and Julian Lee. Story next episode air date provides TVMaze for you. EpisoDate.com is your TV show guide to Countdown Story Episode Air Dates and to stay in touch with Story next episode Air Date and your others favorite TV Shows. Add the shows you like to a "Watchlist" and let the site take it from there.